The highly-anticipated version of the fifth Air Jordan kick is now out and is currently making waves in the sneaker market. 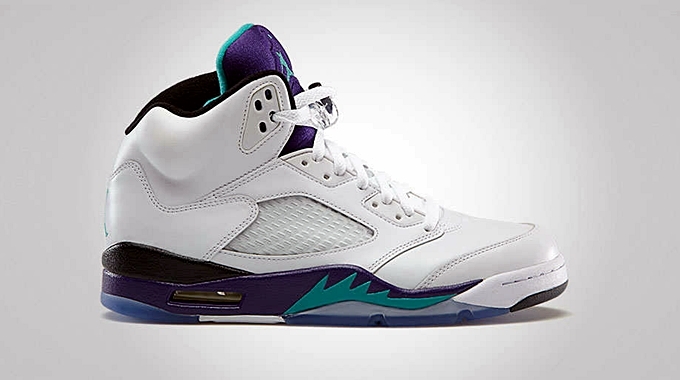 In case you are not aware of it, the Air Jordan 5 Retro “Grape” is now available for purchase. Officially listed as the White/New Emerald – Grape Ice – Black edition of the shoe, this kick can now be yours for just $160. So if you are looking for a fresh look this month, then you should definitely consider getting this kick.